1. How do I start the divorce process? If you are able to communicate with your spouse, then have a discussion of your intention to divorce and start talking terms. If you are near settlement, you will need to engage a lawyer to start preparing the divorce papers. If you are unable to communicate or discuss with your spouse, fret not, meet a lawyer and discuss how you should proceed. 2. When can I commence divorce? As long as your meet the statutory requirements of being married for more than 3 years, have a reason for the breakdown of the marriage, and having satisfied the jurisdiction issues, you can proceed with divorce. 3. How long is the process? 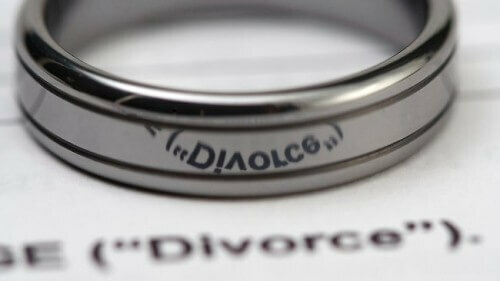 Divorce process is usually 5-6 months for uncontested divorce. It takes 2-3 months to Interim Judgment stage and another 3 months to Final Judgment stage. 4. What is the basis of divorce? The law under the Women’s Charter requires you to show that the marriage has irretrievably broken down. 5. What must I show? You have to show one of the 5 facts i.e adultery, unreasonable behaviour, desertion, 3 years separation with consent or 4 years separation. The first three are under FAULT basis, and the last two are under NO-FAULT BASIS. 6. How will my assets be divided? The law under the Women’s Charter will divide the assets under the principle of what is “just and equitable”, based on parties direct and indirect contributions and looking at the length of the marriage. The court makes a division on matrimonial assets which are in parties’ joint names. Assets in sole name but acquired during the marriage will also be considered as long as that particular asset was used as a matrimonial property, or impoverished by the other spouse. 7. How much maintenance will be awarded? The parties can agree on the amount to be provided either on a monthly basis or on a lump sum basis. If parties are in dispute, the law under the Women’s Charter will look at several factors when considering and determining the amount of maintenance to be awarded. The factors are: the spouse’ earning capacity, age, standard of living, lifestyle accustomed to and their financial needs. A breakdown of the monthly expenses will aid in determining what s the fair amount. 8. Who gets custody of the children? Parties can agree on whether it is going to be a sole or joint custody order. Usually, court is more inclined to award joint custody with sole care and control to the mother especially when the children are young. However, if there is only one child who shares a very strong bond with both parents, the court is inclined to look at joint custody with shared care and control to both parents. Resulting in the child spending one week with one parent and the following week with the other parent. 9. How much access will be given? Access can be liberal, reasonable or supervised. Alternatively parties can mutually agree on what would be fair. Usually parties can have access on the weekday, weekend, school holidays, festive occasions, public holidays and special occasions. 10. Can the child’s name be changed? The child’s name cannot be changed unless with consent of the other parent. Strictly, surname cannot be changed. 11. Can I keep my husband’s name after the divorce or do I need to change it? You can keep your husband’s name. It is your personal choice. 12. Can I start dating during the divorce process? Technically you can if you are the Defendant and once papers have been served on you. 13. Can I acquire new assets during the divorce process? Yes you can. But you should note the implication if you include it as a joint asset. There are case laws that talk about the point of time the assets are acquired either in sole name or joint names and whether it becomes included as an asset or not during the time of division. 14. Can I start moving my assets? No, you should not be doing this. Your spouse can take out an application to stop you from doing this. However there are occasions when one party start moving the asset out ie especially for monies standing in the joint bank accounts. 15. Can divorce be done amicably? Is there an alternative to litigation process? Yes. Try the Collaborative Family Practice approach, using the specially trained lawyers. For further clarification, please refer to our blog or contact us for a free consultation. I wish to obtain a divorce but I cannot locate my spouse. What should I do?